10 Toddler Valentines - C.R.A.F.T. Valentines is less than a week away, and I finally got my act together and made the kids classroom Valentines. Max picked “I wheelie like being your friend” paired with a Hot Wheels car for each of his 7 classmates and Mila wanted lolly pops! I didn’t have a free sucker Valentine printable, so I made one. I came up with “You Make My Heart Pop” and attached the lolly pop. Super simple and I hope you’re little ones enjoy this one too. Oh and if you need more Valentine ideas, here’s the list of 100+ cute Valentine sayings with free printables. 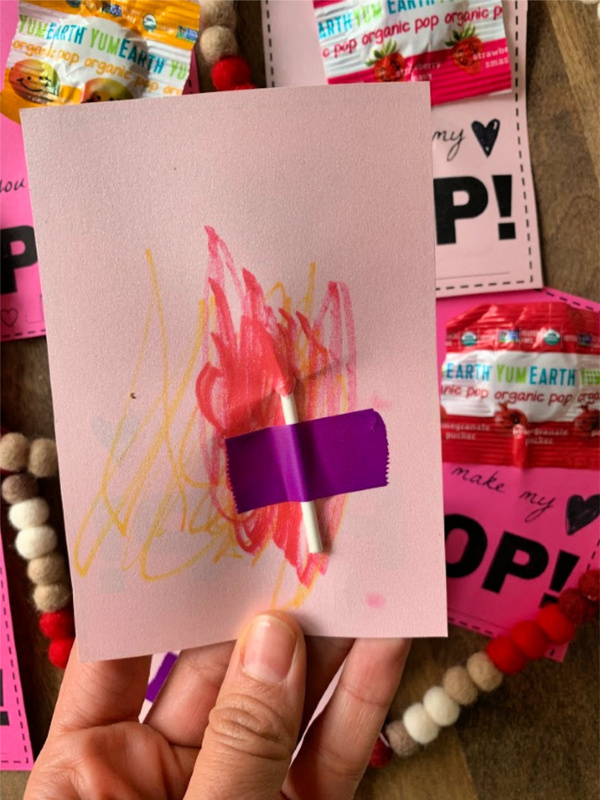 If you’re looking for a non candy Valentine option for yoru toddler, instead of the lolly pop add a balloon to the top of this card. To download the “You make my heart pop” free printable Valentine, just enter your name and email address below and the free file will be delivered to your inbox! 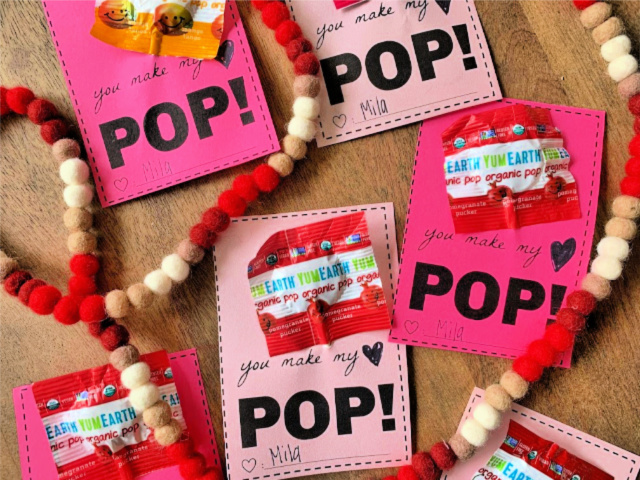 The lolly pop Valentines come 4 to a page. For best results, use card stock to print the valentines. I purposefully made these Valentines black ink only, so I recommend printing on colored card stock. Cut around each Valentine. You will end up with 4 Valentines per sheet. Next, draw a small heart after “You make my” and then have your child sign their name at the bottom of the card. My daughter added her special touch to the back oft he Valentine cards too. The last thing to do is attach the lolly pop to the card. I simply stuck the stick of the card through the card stock and then used a peice of tape to secure the sucker to the card on the back. 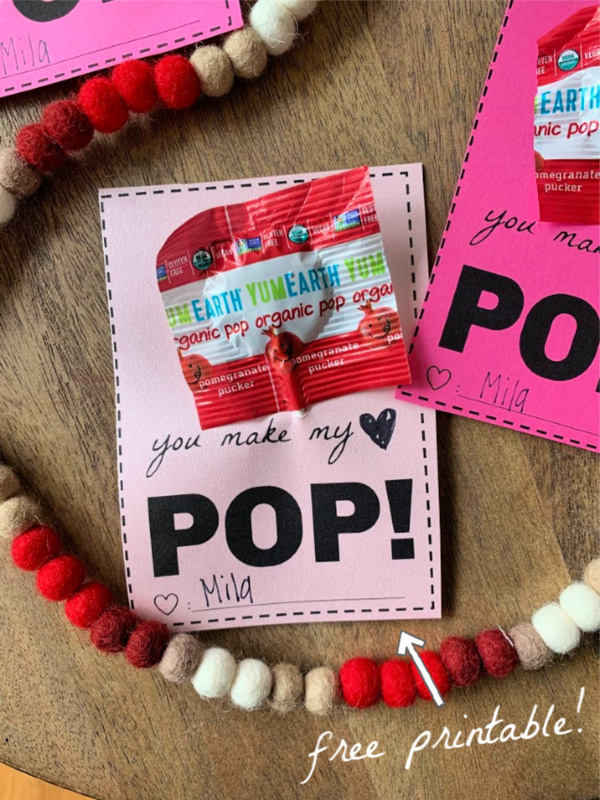 Mila is so excited to hand out her lolly pop Valentines. Everyday before school she asks, “Do I get to bring the lolly pops today?” I suppose I’m teaching her lesson in patience, ha! Just in case you’re looking for toddler Valentines that don’t include candy, here are 10 cute sayings with free printables! Happy almost Valentines Day, y’all! « I’m beary happy you’re in my class!